In my last post, I introduced to you the short story “After the Dance” and gave you some discussion questions to think about. Today, I will attempt to uncover the true message that lies within this story. Before I start, I will give a brief summary of author Leo Tolstoy’s life. Leo Tolstoy was born into a rich Russian family. He drank, made love, and was like a typical Russian noble. However, he loved to write books and think about human life. Eventually, he came to despise the rich and purposely became poor himself. Now, some historical context that will be relevant to our analysis. Russia has since perhaps its existence been an autocracy, where all the power was contained by the tsar, or ruler of Russia. Many people, after tired of having the tsar yelling orders around, started the Russian Revolution and overthrew the tsar. Some notable tsars or tsarinas in Russian history include Tsar Nicholas I and Tsarina Catherine the Great. Nicholas I was not that much of a fan-magnet. He carried out many repressive policies and tried to make Russia a backward nation. Catherine, however, represented the glorious times of the autocracy and was liked by many Russian citizens. I will start off the analysis by answering a discussion question: In the beginning Ivan loved Varinka. Later, he dislikes her. What does this symbolize? Again, as I said in my last post, we must take this story in the context of the author’s life. We know that Tolstoy was born a noble himself and indulged in this life when he was young, but later resented this lifestyle and became poor. Similarly, in this story, Ivan had always been in love with Varinka but later in the end began to forget about her. Form this comparison, one can make out that Ivan symbolizes Tolstoy himself and Varinka symbolizes the aristocracy or nobility. Further proof of this can be seen in the description of Varinka, in which she is described as “bony.” This symbolizes that during the story’s time, which was around the Russian Revolution time period, the aristocracy, represented by Varinka, was frail and on the brink of collapse. In other words, the aristocracy was about to die off, as symbolized by the boniness. Ivan also later comments on his early lifestyle, in which he was a “gay, lively, carless fellow,” reminiscent of Leo Tolstoy’s earlier life. Another important character was Varinka’s father. 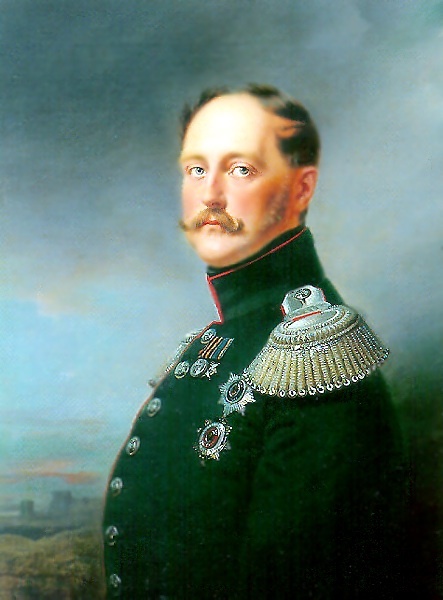 The description of him shows that he represents the strict disciplinary type of soldier under Nicholas I’s rule. He in a sense embodies the fact of military/civil service to the autocratic government. For instance, Ivan tells how he was impressed by the fact that the father wore poor boots so as to allow the daughter to wear beautiful splendid clothing. The message here is that the Russian people sacrificed their time and lives by participating in the military so to make the Tsar and his autocratic government seem more grander and wonderful. To Ivan, this sacrifice the father makes seems wonderful. One can compare this to history, in which by the influence of propaganda, people thought that their sacrifices were also justified and right for they thought they were doing it for the motherland. However, upon seeing Varinka’s father beat up the poor man, Ivan realizes that it was not as wonderful as he thought; similarly, people later realized that they actually hated they were doing this all for the Tsar and thus, the Russian Revolution. We should also go back to the question that appeared in the beginning of the story: is it all by chance or by environment? It seems as if Ivan had proved the opposite of what he intended to prove: that it is all by environment. However, it does in a sense result from chance. For a noble Russian (aka Ivan or Tolstoy) to see the cruelty of the aristocracy is indeed rare, for the rich people are being constantly blinded by the happiness and grandeur of their aristocratic lives (aka the ball in this story). They do not simply sympathize with the downtrodden because they see the aristocracy as something pleasant. This is as opposed to the blacksmith mentioned in the story. The blacksmith symbolizes the common Russian, and the only time that he appears in the story was during the beating of the deserter. One obviously sees that the common man rarely sees balls and the wonderful life of the nobility; rather the only thing he sees is the suffering the Tsar and the upper class has caused on the downtrodden class. By seeing the same event with the blacksmith, Ivan, a noble, has looked from the common man’s perspective and sees the true cruelty of the aristocracy. For a noble to experience this is truly one by chance, and perhaps Ivan felt lucky in that he has seen the truth. This can again be applied to Tolstoy’s life, in which he might have considered himself lucky in that the didn’t fall to the sway of a rich life. These are the basic elements of the story’s message. I will leave the rest to the reader to answer all the discussion questions form last time’s posts that haven’t been answered. (The answer to number four I will give. It is that they try to hide the aristocracy’s corruptness.) Hopefully, you will be able to use what I told today to answer those unanswered questions. But overall, the big message is to express Tolstoy’s experience from liking being rich to despising the rich in one symbolic story. it was really good and helped me to analyse in the same manner the other texts also…..thank you so much……. I definitely appreciated every bit of it and i also have you saved to fav to look at new stuff in your blog. This post helped me to appreciate the story more. Connecting Tolstoy to the main character helped me understand the content of the story through context. Thank you. Write on.